Looking for a property in Thiruvanmiyur? 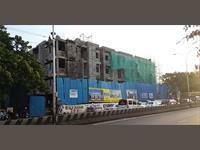 Have a property in Thiruvanmiyur? Thiruvanmiyur, at the junction of OMR and ECR, is a well developed locality with all the basic amenities in place and well connected to almost all parts of Chennai. It has a quintessential old age charm though so near to upfront Adaiyaaru and Besant Nagar. It is just a great place to live in for a burgeoning middle class society. Thiruvanmiyur suburban area is the famous City of CHENNAI. The suburban has easy access to all important essential infrastructure but away from the hustle-bustle of a growing city and its congenital/conjoined. one of cordiality, good-neighborliness and utmost co-operative spirit among the residents of the locality. The neighborhood has all the essential requisites for peaceful living such as Temples/Churches/Mosques et all, places of entertainment aplenty(cinemas,cultural centres) as well as relaxation(the Beasantnagar Beach)established by the visionary Smt Rugmini Devi Arundale. Thiruvanmiyur is well known for the millennium old Marundeeswarar Shiva temple and is close to it offices, tidal park, sea beach, shopping centers, cinemas and schools etc. Thiruvanmiyur, Chennai is rated 5 out of 10 based on 4 user reviews. Have a good knowledge of Thiruvanmiyur? Share it and become a Locality expert. Kgeyes H38 is a location where you can live a life with content and full of peace, prosperity and blissfulness.